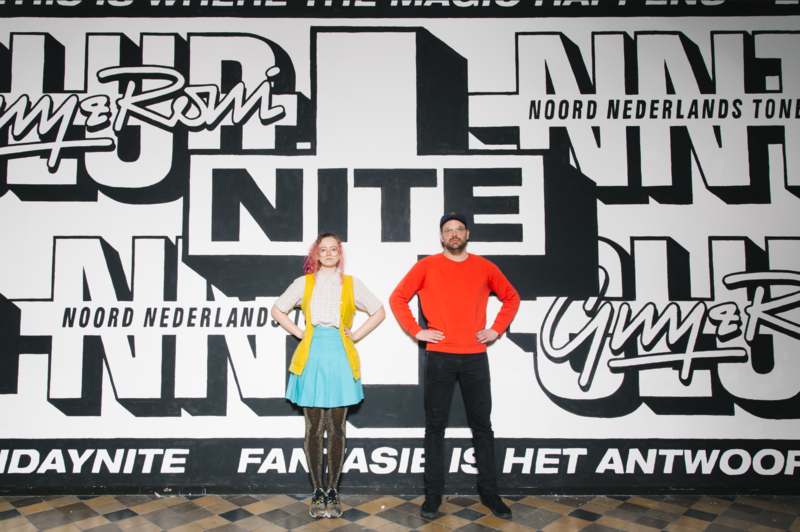 We – Noord Nederlands Toneel + Club Guy & Roni – are living happily together for two years now, at the Bloemstraat 38. We’re working on a new look for the building, that’s why Bart Nijstad and Ana made a beautiful new mural in the foyer. We love it!